Yema Khalif, the co-founder of YEMA, grew up in Kibera slums (the largest slum in Africa) in Nairobi Kenya. He knows what it is like to live without clean running water, good schools and job opportunities, much less TV or online shopping. Born in a family of 8, his parents could barely afford school fees, so Yema had to drop out of high school on several occasions even though he was getting good grades. After struggling to graduate from high school, he was stuck in the slum with no money to go to college, no job and no opportunities to make something of himself. Six years later, Yema was given a chance to come to the US to study Communications and Media at Dominican University of California through Road to Freedom scholarships, an organization that empowers and educates children living in extreme poverty. Click here to watch NBC Bay Area feature on Yema’s inspirational journey (Bay Area Actress Helps Boy From African Slum Find His Dream). (Click here to watch Yema’s commencement speech). He graduated as an outstanding student and Dominican University gave him a full ride scholarship to study his masters degree in business which he did in a year. Knowing what a difference the scholarship made in his life, Yema vowed to give vulnerable African kids a chance at life, just like he was given. Yema created the apparel company YEMA, LLC in Tiburon California with a mission to support the education of orphaned and vulnerable kids in African slums. So far, he has taken 13 orphaned kids to school in Kibera slums in Kenya and Ethiopia. Hawi Awash, the co-founder of YEMA, is a native of Ethiopia. She was a refugee in Kenya before she moved to Minnesota at the age of 8. Hawi loves modeling and giving back. When she was 11 years old, she started modeling. And through that, she would send money every year to Ethiopian women in Rural Ethiopia to empower them in starting businesses. Hawi holds a bachelor’s degree in Pre-med and Humanities with a minor in Public Health. She loves working with vulnerable communities because she was once a refugee and knows first hand what having nothing feels like. 20% of everything you purchase on our website directly goes to orphaned kids in Ethiopia and Kibera slums in Kenya. Follow our crazy journey as we build a brand that supports the future of African children. Launching YEMA, LLC in 2016. 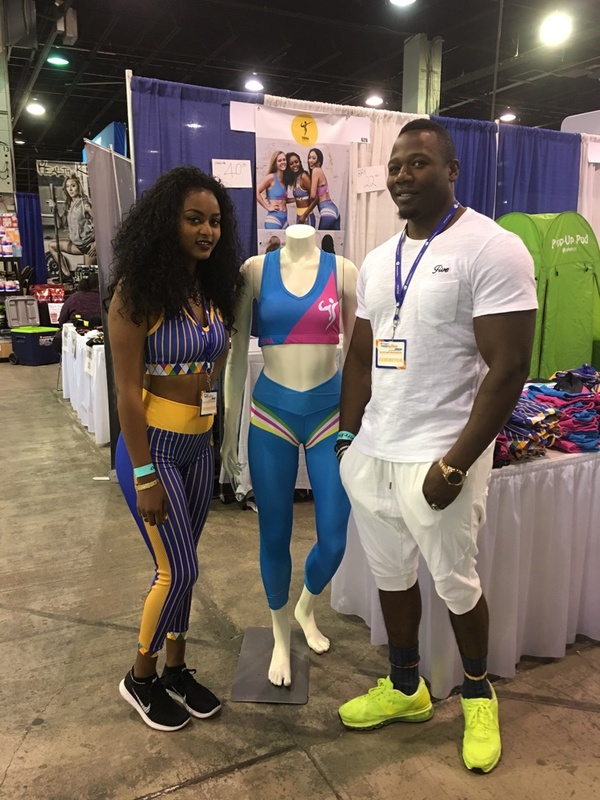 We drove 36 hours straight to go to Chicago fit expo event. Kali Muscle, Yema Khalif and Hawi Awash connecting at the fit expo event in San Jose California. Attending the fit expo event in Southern California. Launching “Love Immigrants Perfectly” t-shirts. Our booth at the Ethiopia New Year celebration. Interacting with our supporters at the Ethiopia New Year event. Shop at Yemacalif.com. Let’s change the narrative of orphaned kids in African slums together.